SHOWINGS BEGIN SATURDAY, 8/19. OPEN HOUSE SUNDAY 8/20, 1-3pm. THIS HOME IS AN ENTERTAINER'S DREAM INSIDE AND OUT! LARGE VAULTED GREAT ROOM LEADING OUT TO COVERED PATIO AND BEAUTIFUL INGROUND POOL! PLENTY OF GRASSY AREA TOO, FOR THE KIDS OR DOG! KITCHEN IS NICELY UPDATED WITH STAINLESS STEEL APPLIANCES, GLASS BACKSPLASH, AND GRANITE COUNTER TOPS. REFINISHED HARDWOOD FLOORS IN LIVING ROOM, ALL 3 BEDROOMS, AND HALLWAY. 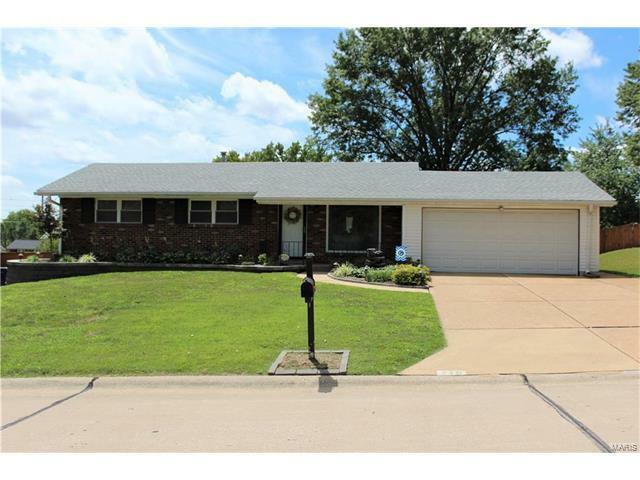 SELLER BELIEVES THERE TO BE HARDWOOD FLOORING UNDER CARPETING IN FAMILY ROOM AS WELL! MAIN FLOOR BATH HAS WHIRLPOOL TUB. BASEMENT HAS A WET BAR, HALF BATH, AND ROOM THAT CAN BE USED AS OFFICE OR SLEEPING AREA. COME BY AND TAKE A LOOK, YOU WON'T WANT TO LEAVE! 270 TO RIGHT ON TELEGRAPH ROAD. RIGHT ON TO AQUA RIDGE DRIVE. HOUSE IS ON LEFT SIDE OF STREET, #716.